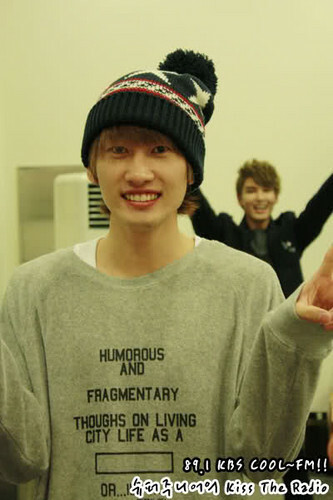 Eunhyuk & Ryeowook ^^. kiss the radio. Wallpaper and background images in the Lee Hyukjae / Lee Eunhyuk club tagged: eunhyuk; hyukjae; super junior; ryeowook; kiss the radio. This Lee Hyukjae / Lee Eunhyuk photo might contain تفریح ​​یہودیی, تفریح پہن, پہناوا, overclothes, آؤٹر, اوورکلوتھیس, سائن ان کریں, پوسٹر, متن, چاکبورڈ, نشانی, and تختۂ چاک.